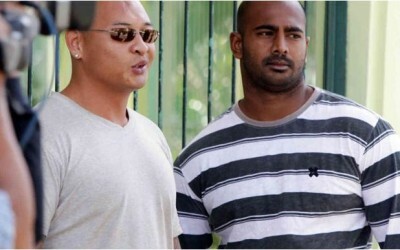 So who was the lead organisation funding the Bali Nine ‘Mercy Campaign’? Their pleas for mercy have become more urgent after six other drug traffickers, including five foreigners, were executed by firing squad at the weekend. 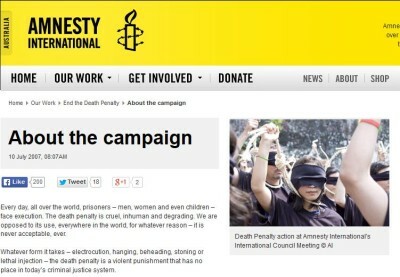 The petition aims ‘to send a message to the Australian government that the death penalty is not a solution,’ aid Amnesty’s crisis campaigner and human rights lawyer Diana Sayed. 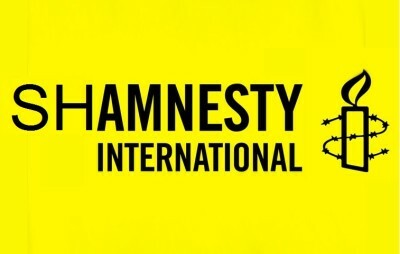 Amnesty International to con funding claims it is perhaps the most prestigious international non-governmental organization (NGO) dedicated to furthering human rights. Amnesty’s campaigns and publications are quoted by political leaders, journalists, diplomats, and academics. Amnesty has helped set agendas and influenced governments, as well as other international bodies such as the United Nations Human Rights Council (UNHRC). Founded in 1961 as a small, volunteer initiative by Peter Benenson, the London-based organization has evolved dramatically, today operating around the globe, with thousands of employees and a multi-million dollar budget. A SENIOR official at Amnesty International has accused the charity of putting the human rights of Al-Qaeda terror suspects above those of their victims. Gita Sahgal, head of the ‘Gender Unit‘ at Amnesty’s international secretariat, believes that collaborating with Moazzam Begg, a former British inmate at Guantanamo Bay, “fundamentally damages” the organisation’s reputation. In an email sent to Amnesty’s top bosses, she suggests the charity has mistakenly allied itself with Begg and his “jihadi” group, Cageprisoners, out of fear of being branded racist and Islamophobic. Sahgal describes Begg as “Britain’s most famous supporter of the Taliban”. He has championed the rights of jailed Al-Qaeda members and hate preachers, including Anwar al-Awlaki, the alleged spiritual mentor of the Christmas Day Detroit plane bomber. Amnesty’s work with Cageprisoners took it to Downing Street last month to demand the closure of Guantanamo Bay. Begg has also embarked on a European tour, hosted by Amnesty, urging countries to offer safe haven to Guantanamo detainees. This is despite concerns about former inmates returning to terrorism.